In C#, you can fix this by using Task.Run instead of StartNew (or by dropping the async and await in the lambda function). Can we write something similar in F#? We can create a task that will return Async using Task.Factory.StartNew and lambda function that returns an async block.... var a = await addthis(5) var b = await addthis(a*2) var c = await addthis(b/4) return c // return promise that resolves to final number So much cleaner, and well, normal looking! 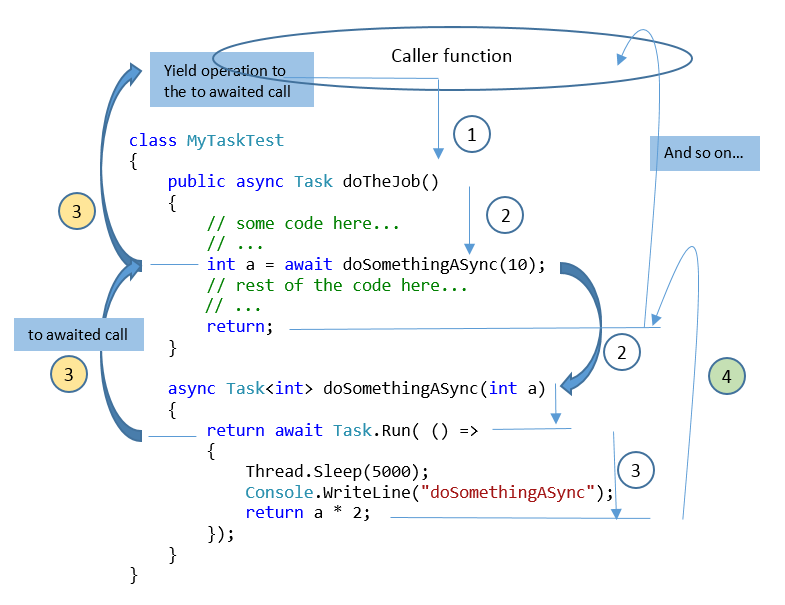 Lets see in detail now how to define and utilize async functions, soon to be your Promises' new best friend. Write this code on your constructor Task.Run(async => await LoadDataAsync()).Wait(); and change the LoadDataAsync function for your function. 1 AndreiMisiukevich_ US Member... All visible side effects are synchronized between the call to async and the call to fn, and between its return point and the access to the returned future's share state. Exception safety Basic guarantee: if an exception is thrown, all objects involved are left in a valid state. All visible side effects are synchronized between the call to async and the call to fn, and between its return point and the access to the returned future's share state. Exception safety Basic guarantee: if an exception is thrown, all objects involved are left in a valid state.